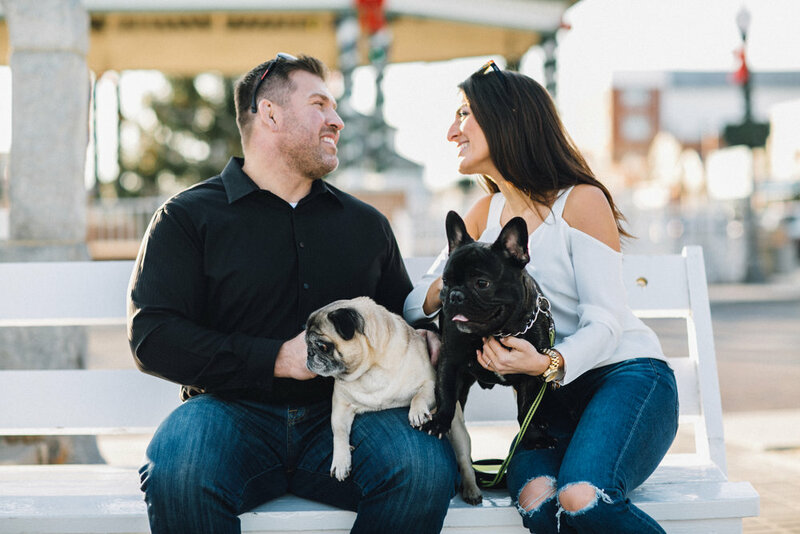 Lara and Rob love the beach, and their dogs. 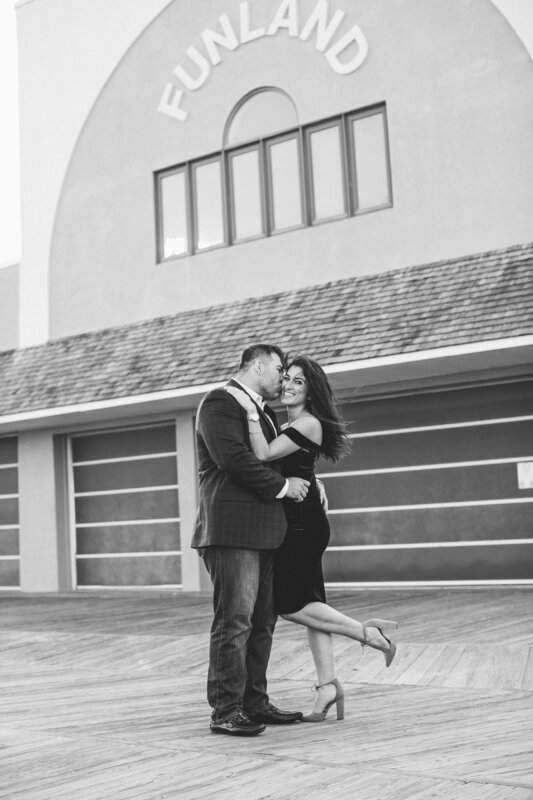 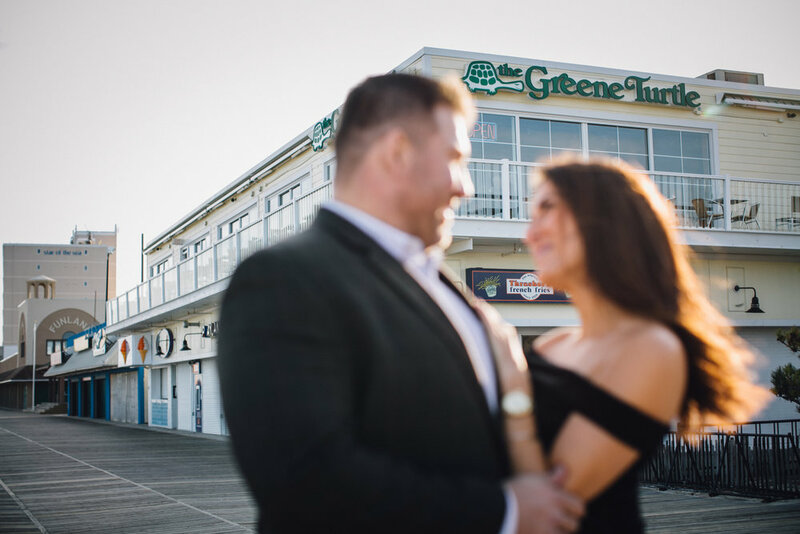 They were drawn to the boardwalk and the nostalgia of times past for their engagement session. 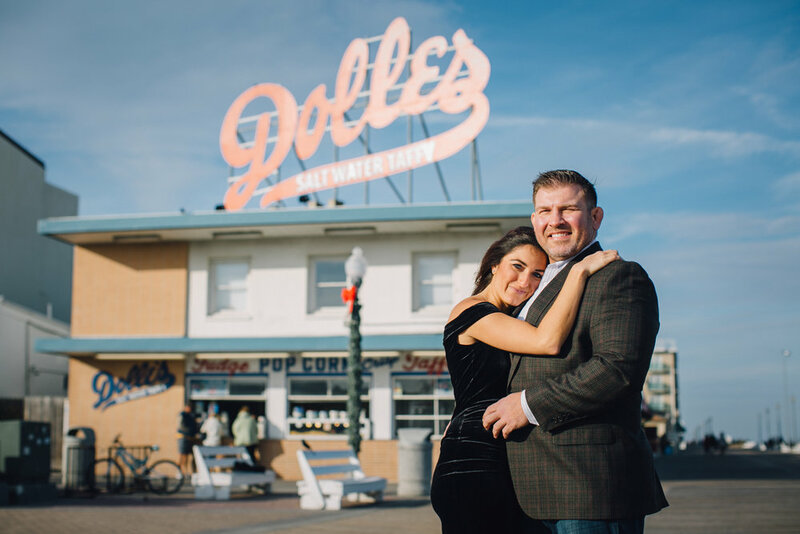 With iconic backgrounds like Dolles popcorn stand, Candy Kitchen and Khor Bros ice cream, this shoot reminded me that, even though it's cold outside, summer NEVER really ends. 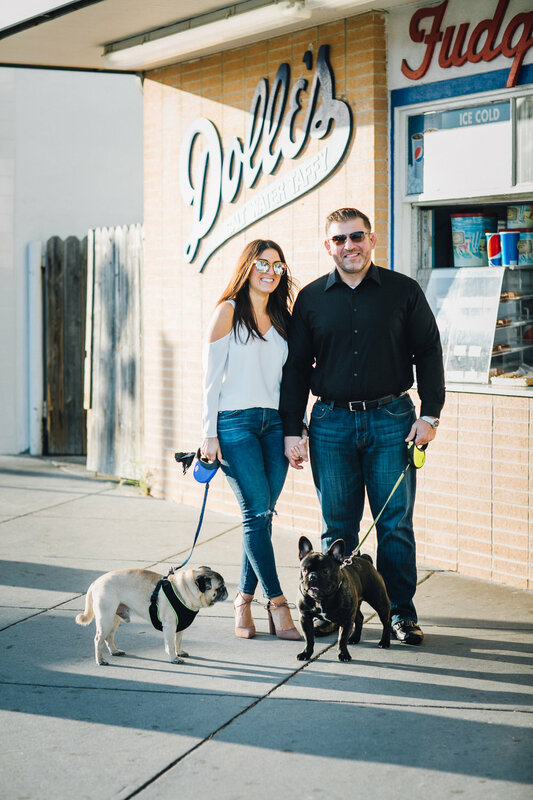 Enjoy this colorful and sunny shoot with a pug and french bull dog to boot!